Abstract—Technology acceptance model (TAM) has been a standout amongst the most well-known models in understanding the users’ acceptance of technologies. This study develops a model to predict the factors that influence the use of learning management systems (LMS) among higher educational students in Saudi Arabia by applying the TAM model and two psychological determinants: computer self-efficacy and subjective norms. The Partial Least Squares Structural Equation Modeling (PLS-SEM) technique was employed to examine the proposed model. The findings confirm the TAM model within the context of Saudi Arabia. Further, the students’ perceived ease of use is positively influenced by computer self-efficacy, while the students’ perceived usefulness is positively affected by subjective norm. As scholars have overlooked using TAM to assess LMS in the context of Saudi Arabia, the study may give a guide to future work to adopt additional factors that impact the students' utilization of LMS. Index Terms—Computer self-efficacy, e-learning system, learning management system, subjective norms, technology acceptance model. S. S. Binyamin is with King Abdulaziz University, Jeddah, Saudi Arabia. He is also with Edinburgh Napier University, Edinburgh, United Kingdom (e-mail: ssbinyamin@kau.edu.sa). M. J. Rutter and S. Smith are with School of Computing, Edinburgh Napier University, Edinburgh, United Kingdom (e-mail: m.rutter@napier.ac.uk, s.smith@napier.ac.uk). 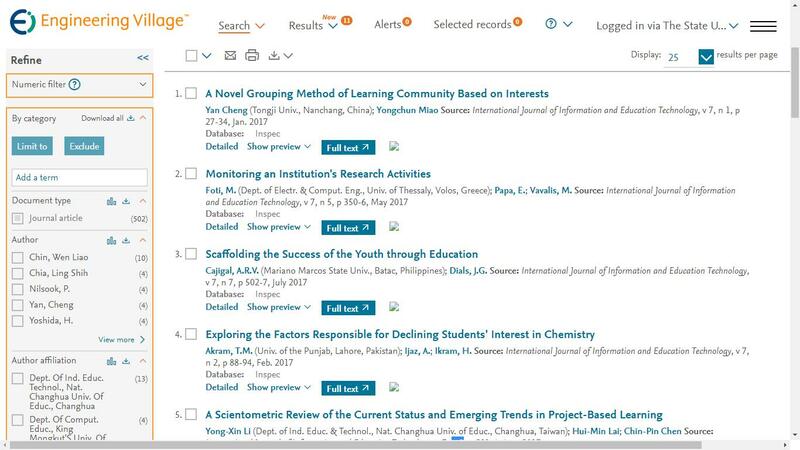 Cite: Sami S. Binyamin, Malcolm J. Rutter, and Sally Smith, "The Influence of Computer Self-efficacy and Subjective Norms on the Students’ Use of Learning Management Systems at King Abdulaziz University," International Journal of Information and Education Technology vol. 8, no. 10, pp. 693-699, 2018.